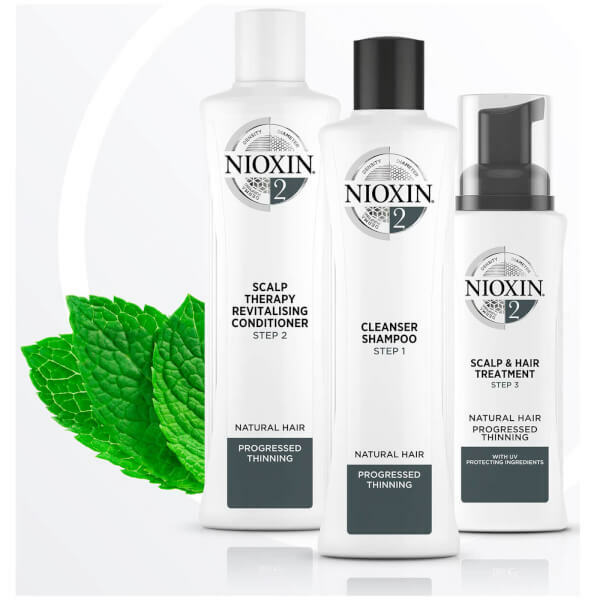 NIOXIN's 3-part System Trial Kit 2 for Natural Hair with Progressed Thinning is an innovative three-step regime designed to cleanse, treat and optimise the hair and scalp. 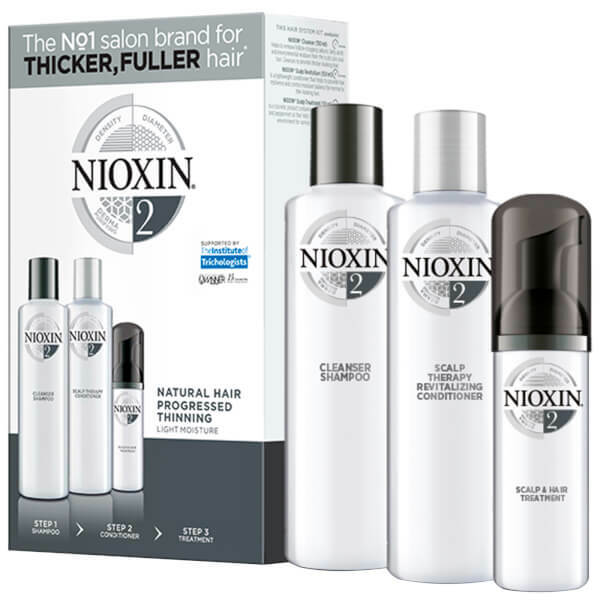 Promoting denser-looking hair, the products work in synergy to strengthen hair and protect against breakage to encourage fuller-looking tresses. 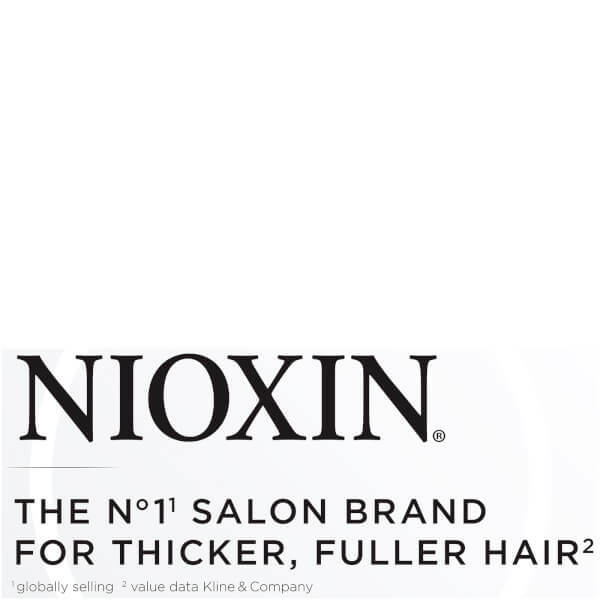 The first step in the thickening system uses Active Renewal technology to expertly lift away dirt, excess sebum and product build-up from the scalp and hair, helping to perform a deep cleanse and add body and lift from root to tip. Working to form a protective veil over strands, the shampoo strengthens from the inside out to offer visible volume, enhanced definition and a healthier-looking head of hair. Step two is a density-protecting and nourishing hair conditioner that helps to retain moisture balance, providing hair resilience to natural hair with progressed thinning. 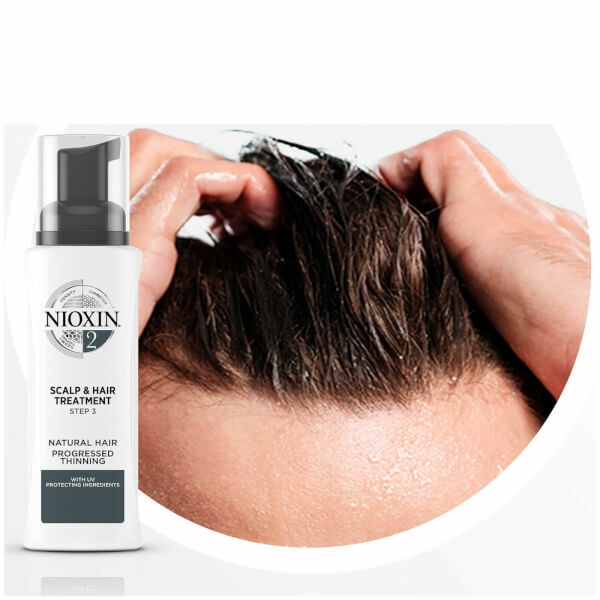 Enriched with Activ-Renewal Technology to help remove follicle-clogging sebum, fatty acids and environmental residue from the scalp and hair, the thickening formula unleashes the volumising powers of Bioamp and Scalp Access Delivery 2.0. These two technologies work in tandem to improve thickness, control moisture balance, boost strength and deliver UV-protection. 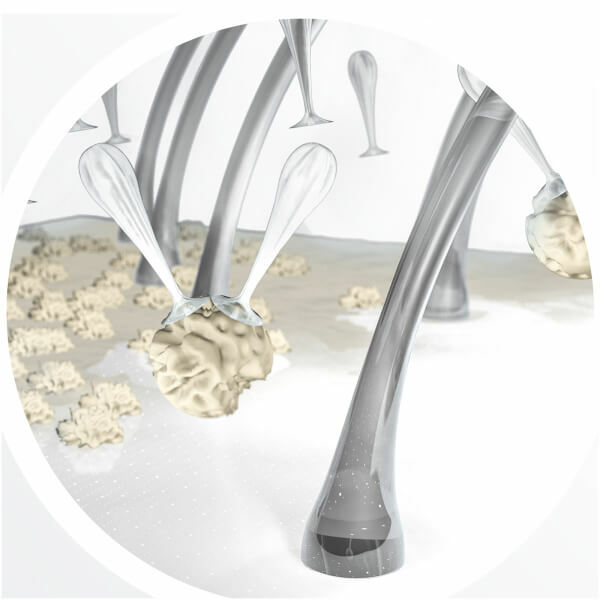 Step three is a leave-in treatment powered by Scalp Access 2.0 technology, which strengthens each strand from root to tip to help prevent breakage, while UV protection defends the hair against damage and dryness. 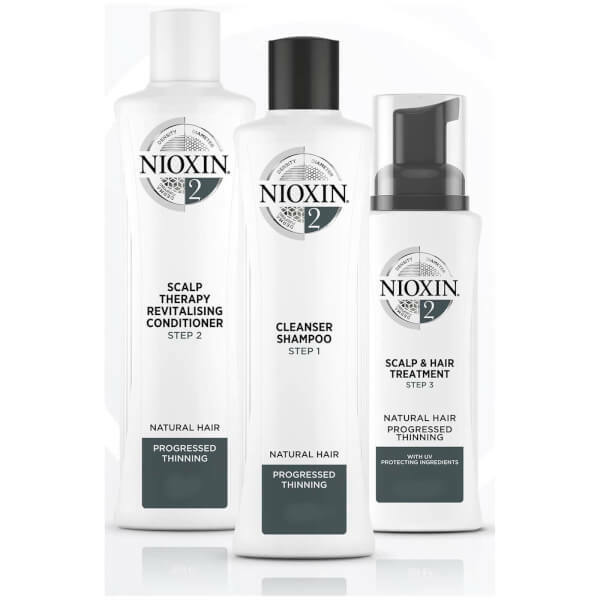 The final part in the 3-part thickening system, this treatment works to refresh and revitalise the scalp in order to promote healthy growth, enhanced resilience and a fuller-looking head of hair. 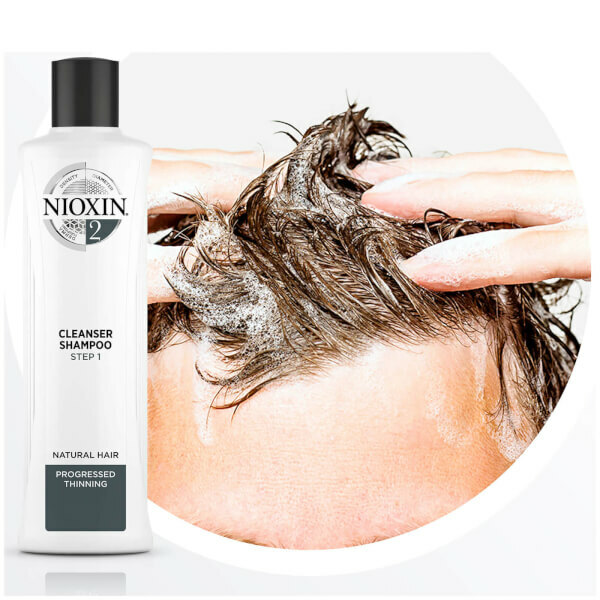 Shampoo: Gently massage into hair and scalp. Rinse well. Conditioner: Apply from scalp to ends. Leave in for 1 to 3 minutes. Rinse. Leave-In Treatment: Shake well. 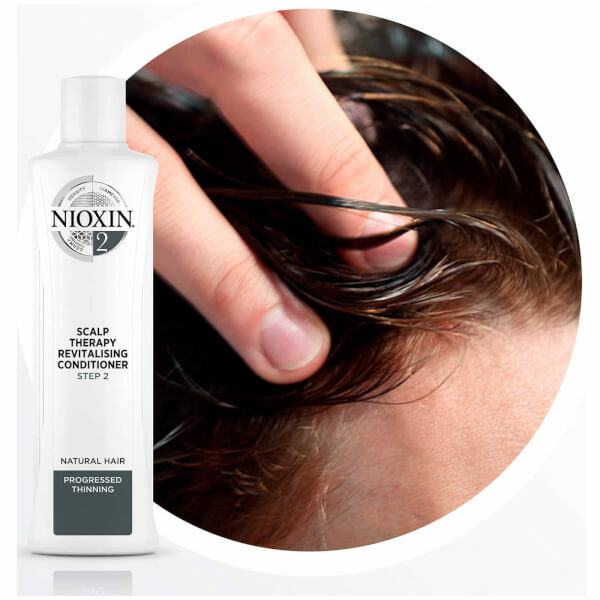 Apply evenly to entire scalp. Do not rinse. 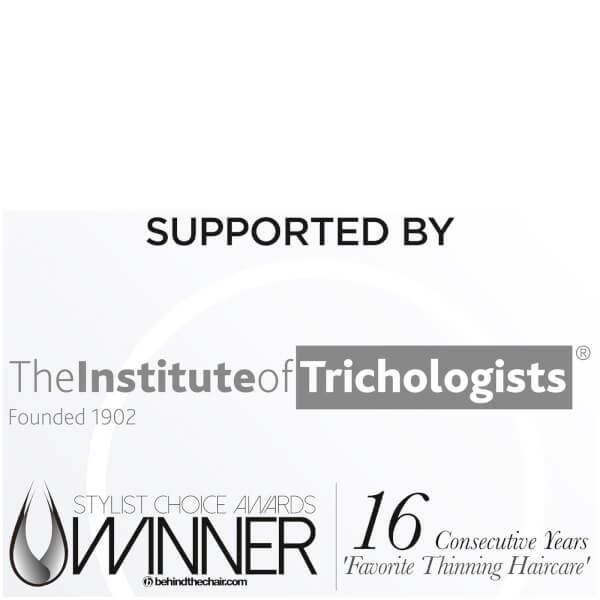 Shampoo: Aqua, Sodium Laureth Sulfate, Sodium Lauryl Sulfate, Cocamidopropyl Betaine, Sodium Citrate, Sodium Xylenesulfonate, Sodium Chloride, Cocamide MEA, Sodium Benzoate, Citric Acid, Salicylic Acid, Mentha Piperita Oil, Mentha Arvensis Leaf Oil, Menthol, Tetrasodium EDTA, Sodium Hydroxide, Methylparaben, Propylene Glycol, Camellia Sinensis Leaf Extract, Cystine Bis-PG-Propyl Silanetriol, Biotin, Lecithin, Niacinamide, Panthenol, Tocopheryl Acetate, Citrus Paradisi Peel Extract, Humulus Lupulus Flower Extract, Urtica Dioica Leaf Extract, CI 19140, Faex Extract, Acer Saccharum Extract, Citrus Limon Peel Extract, Saccharum Officinarum Extract, Vaccinium Myrtillus Leaf Extract, CI 42090, Citrus Aurantium Dulcis Fruit Extract, CI 17200, Potassium Sorbate. Conditioner: Aqua, Cetyl Alcohol, Stearamidopropyl Dimethylamine, Stearyl Alcohol, Quaternium-18, Phenoxyethanol, Benzyl Alcohol, Cetearyl Alcohol, Hydroxypropyl Guar, Glyceryl Stearate, Hydroxyethylcellulose, Oleyl Alcohol, Methylparaben, Propylparaben, Polysorbate 60,Mentha Piperita Oil, Mentha Arvensis Leaf Oil, Menthol, Bis-Aminopropyl Dimethicone, EDTA, Propylene Glycol, Citric Acid, Camellia Sinensis Leaf Extract, Cystine Bis-PG-Propyl Silanetriol, Biotin, Lecithin, Niacinamide, Panthenol, Tocopheryl Acetate, Citrus Paradisi Peel Extract, Humulus Lupulus Flower Extract, Urtica Dioica Leaf Extract, Faex Extract, Acer Saccharum Extract, Citrus Limon Peel Extract, Saccharum Officinarum Extract, Vaccinium Myrtillus Leaf Extract, Citrus Aurantium Dulcis Fruit Extract, CI 42090, Potassium Sorbate, Sodium Benzoate. Leave-In Treatment: Water/Aqua, Phenylbenzimidazole Sulfonic Acid, Niacinamide, Benzophenone-4, Caffeine, Polysorbate 20, Sodium Hydroxide, Benzyl Alcohol, Sodium Benzoate, Phenoxyethanol, Peg-12 Dimethicone, Citric Acid, Cocamidopropyl Betaine, Acetamide Mea, Isopropyl C12-15-Pareth-9 Carboxylate, Propylene Glycol, Tetrasodium Edta, Methyl Nicotinate, Sodium Chloride, Parfum, Polysorbate 60, Polysorbate80, Mentha Piperita Oil, Menthol, Mentha Arvensis Leaf Oil, Peg-23m, Camellia Sinensis Leaf Extract, Limonene, Cystine Bis-Pg-Propyl Silanetriol, Biotin, Lecithin, Tocopheryl Acetate, Citrus Paradisi, Peel Extract, Humulus Lupulus Flower Extract, Urtica Dioica Leaf Extract, Silica, Faex extract, Acer Saccharum Extract, Citrus Limon Peel Extract, Saccharum Officinarum Extract, Vaccinum Myrtillus Leaf Extract, Citrus Aurantium Dulcis Fruit Extract, Potassium Sorbate.